The club offers a range of Membership classes and facilities as set out below. Full details of the current fees are contained in the Membership form available as a download. IF YOU HAVE ANY QUESTIONS ON THE CLUB OR COMPLETING YOUR APPLICATION FORM PLEASE DO NOT HESITATE TO CONTACT THE MEMBERSHIP SECRETARY. Download pdf copy of the 2019-20 Membership form and prices. Single – adult member aged 23 years or older. The single-adult fee is the basis for the calculation of all other membership fees. (Rounded up to nearest £1). For current fees please see Membership Form download above. Joint membership is open to all adult couples who share the same address. Fee is 1½ (150%) single fee. Cadet membership: o Junior – 5 years up to 9 years on the 1st. April. Fee is ?th (12.5%) single fee. o Senior – 10 years up to 17 years on April 1. Fee is ¼ (25%) single fee. Young adult – 18 up to 22 years on the 1st. April. Fee is ¼ (25%) single fee. It is aimed at students & those starting work. Non-sailing parent/guardian. Most cadets join as part of a family sailing group and we want both children and parents to sail. However, if neither parent wishes to sail, at least one parent/guardian must join in a non-sailing role to support his or her sailing child (under 18). Hopefully, you will get the “bug”. MBSC has a large boat park for year round storage of sailing dinghies, tenders and road trailers. MBSC offers mooring and winter (Nov-April) storage facilities for cruisers (up to 26 ft overall length) If your application is dependent on being allocated a mooring, please obtain confirmation that a mooring is available before submitting your application. There are two concrete launching ramps, one of which has an electric winch that can be used to launch or recover boats up to 1 tonne displacement (after appropriate training). “Launch only” allows members to use the ramp to launch boats not stored at the club. Club rules do not allow storage, launch or use of motorboats or jet-skis at the club. MBSC is a self-help club that is run by the collective voluntary efforts of its members. 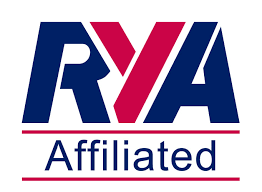 Duties – sailing related tasks such as crewing safety boats and manning the race box (starting and finishing boats and co-ordinating safety boats). Members are allocated these tasks at the start of each sailing year and stand-in help is sometimes required on a short term basis. General ad hoc activities – may include help with specific events such as Open Day or an Open Race Event, or a specific maintenance task in the clubhouse or grounds. You are expected to undertake some duties every year. But do not worry, you will not be asked to undertake any task for which you are not qualified, trained or capable and experienced members will be on hand. A small number of work parties are organised each year to undertake major maintenance work. They are primarily to prepare the Club for the Spring & Winter sailing seasons & Family Week. In order to keep the Club in good order without incurring unaffordable costs, we need members to participate in this process. It is actually quite fun & will give you the opportunity to meet other members & learn about how the club really works. If you are unable to attend we ask you to make a small donation to our maintenance fund.